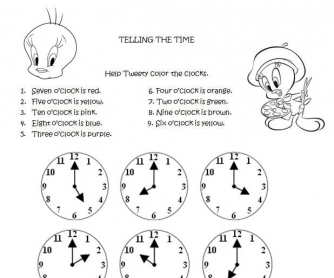 An interesting way for children in elementary school to learn how to tell the time by the hour. I used this with my kids in school and they found it very interesting and challenging at the same time. I hope you'll find it useful. 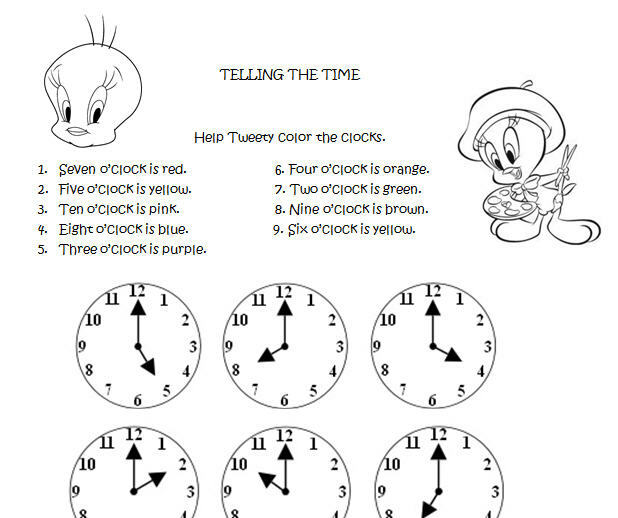 It contains a few clocks which tell the time by the hour and children need to color the clocks according to the sentences in the exercise.